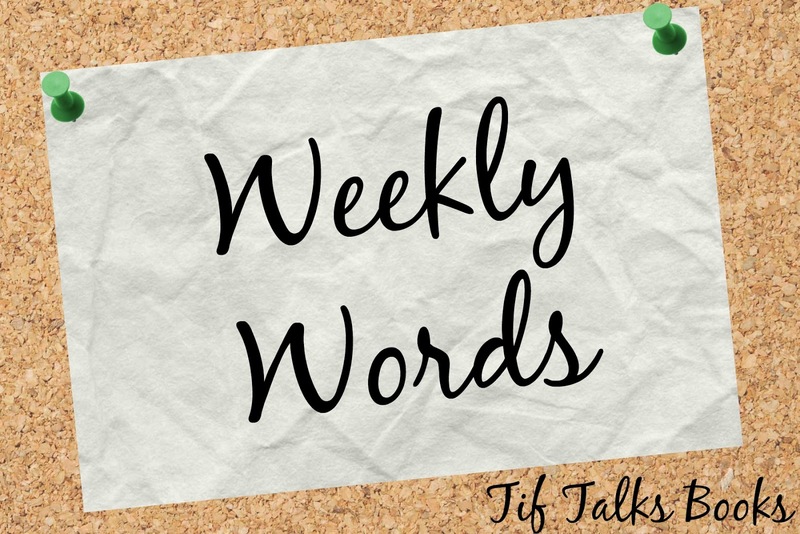 TIF TALKS BOOKS: Weekly Words: Currently Living Life (Anxiously)! 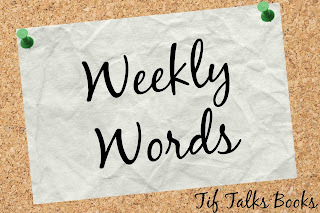 Weekly Words: Currently Living Life (Anxiously)! The Scene: Sitting in my big chair, just finishing up the latest episode of Fear the Walking Dead that I missed over the weekend. Reading: Not much these days. I am finishing up a deeper read of Green Grass, Running Water by Thomas King. I originally read it for the class I was taking earlier this year, but didn't feel like I focused on it as much as I would have liked before finishing up the required assignment for it, so I picked it up to devote more time to it. I am also listening to The Night Strangers by Chris Bohjalian on audiobook. I am in the middle of a number of others, but none currently worth mentioning at this time. Writing: Nothing ... at the moment. I spent a good chunk of time writing papers for my class. Then, I dove into Armchair BEA, organizing a lot of the stuff behind-the-scenes. I finally feel like I'm catching up on life and can return to writing again very soon. Blogging: My blogging has been pretty slim around here. While I have been silent here, I did write a little something for Mental Health Month over at Book Bloggers International on the use of picture books in my work with young children. Now that I have more time on my hands, I look forward to playing some major catch-up here on the blog, starting with some monthly wrap-ups of March and April. Be watching for these soon! Watching: I just got caught up on Fear the Walking Dead like I mentioned above. I have also been watching Grimm and look forward to catching the season finale in the next couple of days. Then, I will turn to catching up on some recorded movies that I've been saving. Promoting: Book Bloggers International is currently hosting Mental Health Month on the blog, and we are looking for guest bloggers during the month of June to talk about Tech (i.e., apps, programs, or blogging tools). If you are interested in writing for us, let us know via email at bookbloggersintl (at) gmail (dot) com. Living: Last, but not least, life has had some highs and lows. Over the weekend, my BIL got married and we had an absolute blast. We danced and partied and smiled and just had a fabulous weekend. A huge storm hit right in the middle of the day, but thankfully it occurred after picture and before the ceremony. Decorations were broken, but it still continued on and turned into an absolutely beautiful ceremony. On the other hand, we returned home to a week of chaos. In the last three days, my community has experienced two bomb threats at local schools . . . one of them being at my own kids' school. I hope to never receive a call like that again, especially since I could do nothing while my children were evacuated. Many of these cases are happening across the country, so we are not alone in this chaos. We have one more day of school this week, and I hope that no more schools are hit with these scary situations. How have things been going in your neck of the woods? What are you reading, watching, listening, and/or living? A bomb threat at an elementary school? How horrible! Last week there was a shop teacher at one of the high schools in our district who was assaulted pretty badly after school. I have always thought of schools as safe places with some really rare exceptions but it seems to be changing lately and it makes me sad. Anyway, I'm reading Neil Gaiman's new non-fiction book and listening to The Raven Boys. Both are awesome so they make the world seem like a better place, at least in my little space! Kristen M. ... There were a number of bomb threats this last week at schools. Our community had two, one at a middle school and the other at an elementary. I didn't like it at all, and neither did my kids! The Raven Boys on audio is fabulous!!! Will Patton is the narrator, right?!? He was perfect for that one IMO! It was a cluster of bomb threats across the nation, wasn't it? So sad, especially when they think it was all a prank. I can't imagine receiving one of those phone calls. Hopefully, your last week of school is uneventful! Michelle ... It was! I had a friend in Minnesota that had two as well, on the same days as us. I don't like it at all! Hoping these final days are definitely uneventful!